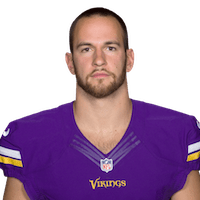 The Vikings elected not to tender Price a contract for 2019, making him an unrestricted free agent, Andrew Krammer of the Minneapolis Star Tribune reports. Analysis: Price sat out the entire 2018 campaign after sustaining a knee injury during the preseason. Since going undrafted out of Michigan State in 2017, the tight end has yet to make his NFL debut. There are no videos available for Josiah Price. Click here to view all videos.